That was the sharp warning sounded by Olivia Bina, a principal researcher at the Institute of Social Science at the University of Lisbon, and adjunct assistant professor in the Department of Geography and Resource Management at the Chinese University of Hong Kong. She was delivering a keynote address on 7 November at the Mistra Urban Futures Annual International Conference, held in Cape Town. The University of Cape Town’s (UCT) African Centre for Cities (ACC) became part of Mistra Urban Futures in 2010. In her address, Bina defined the Athropocene age as “a recent age in human history, and in the history of the planet, when humans from the wealthiest societies – and in particular their technological prowess – have turned humanity into a force of nature itself”. Anthropocene denotes the current geological age, viewed as the period in which human activity has been the dominant influence on climate and the environment. Titled “The Future of Universities: Can We Reimagine Ourselves?”, Bina’s address dovetailed with the overall conference theme, “Realising Just Cities: Comparative Co-Production”. She offered six steps for universities to start their journey from “being part of the problem to being part of the solution”. Bina argued that the role and contribution of universities to a fair and sustainable future “shows a very mixed record, and an overall unsatisfactory one judging from Unesco’s [United Nations Educational, Scientific and Cultural Organization] reviews over the past decades”. 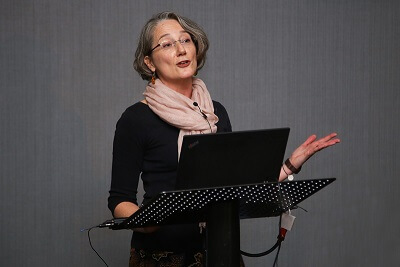 In fact, she said, research conducted at Intrepid, the 32-country network on interdisciplinary research and collaboration that she runs in Europe, has determined that universities “are increasingly not fit for purpose, given the problems we have in this century”. Intrepid is funded by the European Cooperation in Science and Technology (COST). “Meanwhile, the agenda and the challenges confronting future universities have expanded and are accelerating, placing exponential demands on knowledge in the 21st century. The UN 2030 Agenda and the SDGs [Sustainable Development Goals] re-present the age-old questions of interconnectedness of knowledge, the plurality of its nature, and the diversity, equity and inclusiveness of its production,” she said. Yet, few institutions have shown themselves to be resilient in respect of learning about themselves, and reimagining their present and future. “The sites of learning, of innovation and progress are capable of great reflection, but less it seems, of self-reflection,” she charged. Bina pointed out that there is great diversity – and a few excellent exceptions – within and across countries. 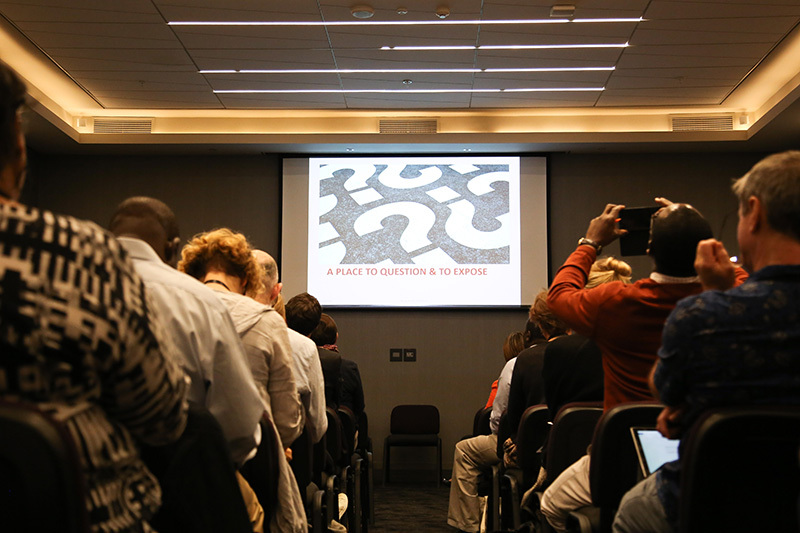 She also shared a range of ideas and questions that emerged from a series of workshops focused on European universities, organised by Intrepid members to interrogate the future of these higher institutions. “In this ongoing process, we ask what capabilities, skills and dispositions are we in need of if diverse, equitable and inclusive knowledge is to be promoted; what radical rethinking of institutional set-ups, but also of physical space, is waiting to be initiated? Guests at the keynote address, titled “The Future of Universities: Can We Reimagine Ourselves?”. “The persistent obstacles and challenges confronting higher education reinforce the quest for that elusive, and yet essential balance between local and global agendas, between plurality and unity. We conclude by relating these findings to those of UNESCO’s global analyses, pointing to common threads that can constitute an opportunity to reimagine higher education as an ecosystem for societal transformation,” she said. Intrepid’s current argument is that universities are currently too often part of the problem, rather than of the solution. Their research has tried to examine what is being said of the future of universities, first off, and then how they can move to a different place, and become part of the solution. “In that review, and in our own work and workshops and conferences, and within the Intrepid network, we are coming up with a ‘journey’ which entails around six steps at the moment, but is a work in progress,” Bina explained, adding that she wanted to see universities become “active, purposeful agents for change for a better world”. The first step is the need for universities to “question and expose” the unconscious frames of references that exist. “We need to ask whether a university can return to become a place that questions and exposes what is unseen,” she said. This includes the underlying biases, points of view, ideas and paradigms that are applied to education, research and producing new knowledge. Bina suggested the James Baldwin quote – “Not everything that is faced can be changed, but nothing can be changed until it is faced” – should be affixed to every door and wall of today’s universities. Her second step highlights the need for universities to adopt so-called “maximum leverage” (after Donella Meadows’s work) to allow for changes in goals, mindsets and a transcendence of existing paradigms. This is followed by “transforming knowledge”, which relates to transformative knowledge, learning and pedagogy. “There is a whole body of thinking that is being developed around this axis of transformation. The key here is competencies, content and ethics. What kind of competencies do we continue to develop in the future so that we can be part of the solution? Key to this is self-awareness and self-reflectiveness,” she said. Bina’s fourth step, “whole system change”, addresses the challenges of changing the governance, infrastructure and power structures that characterise most modern contemporary academic institutions. Her fifth step, “role and function”, examines “what we [universities] are good at and what we are good for”. Her final step, “a place to envision”, relates to the importance of vision for a university. Bina said universities need to keep asking – and answering – the question of whether they can be “that place that helps us to create a vision of a sustainable, desired future”.